Indian Institute of Management (IIM) was set up by the Government of India, Ministry of Human Resource and Development (MHRD) in 2010 at Raipur, the capital of Chhattisgarh. It was formerly a part of Madhya Pradesh before the state of Chhattisgarh was formed on 1st November 2000. Chhattisgarh is one of the fastest growing states of India with its rich mineral, forest, natural and local resources. 1. Hostels: Hostels are twin sharing in IIM Raipur. But this isn’t the negative point. Spending your 2 years of MBA with your peers living in the same building increases your interaction among peers. I guess that’s one of the most important points for someone who joins a B-School. 2. Clubs and Committees: IIM Raipur has 9 committees and 13 clubs. These clubs and committees organize different guests lectures and activities throughout the year. So that students can learn and improve their personality by participating in different activities. 3. Student Exchange Programme: IIM Raipur has a large network of partner B-schools through which it conducts student exchange programs. For the Post Graduate Programme in management, the exchange program is carried out every year. The exchange council which is managed by students is responsible for coordinating with other colleges for conducting student exchange. The institute has tie-ups with premier B-Schools which includes IESEG School of Management, France; Asian Institute of Technology, Bangkok and so on. 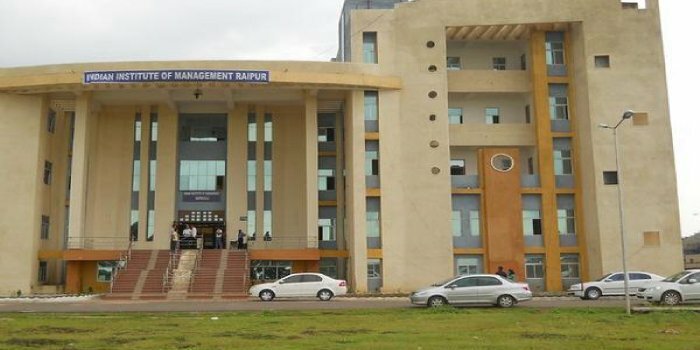 As the new campus in Naya Raipur is about to complete its first phase, soon IIM Raipur will be shifting to the new campus in a span of 3-4 months. The new campus will add another milestone to IIM Raipur as it’ll be in the first planned city in Chhattisgarh and sixth planned city in India. Naya Raipur is one of the 5 cities in the country which is selected under Sustainable Urban Transfer Project (SUTP). The Government of Chhattisgarh has allotted over 200 acres of land for the proposed IIM Raipur campus in Naya Raipur. The proposed campus will be a state-of-the-art campus presenting a blissful mix of modern architecture, culture & heritage of Chhattisgarh. Which ABG company I would like to work in and why? I would like to work with Aditya Birla Capital Limited (ABCL) because it’s one of the largest financial services players in India. Aditya Birla Capital manages, through its subsidiaries and joint ventures, aggregate assets worth Rs. 2,813 billion and has a lending book of Rs.447 billion as of 30 September 2017, placing it among the top five private diversified NBFCs in India (Source: CRISIL), the 4th largest assets management company in India by domestic AAUM as published by AMFI for the quarter ended September 2017. Working with ABCL will help me getting knowledge about financial aspects as I’m more inclined towards finance as of now. Hemant Kumar is a first-year student at IIM Raipur. When Shadows Start Giving Management Lessons In IIM Trichy!